The Department of Safety and Security will be operating under new leadership before the start of the 2016-2017 school year. Eric M. Heath, Executive Director of Campus Safety, will succeed Marlon Lynch as associate vice president for Safety, Security and Civic Affairs beginning September 1. Lynch will begin his new role as the Vice President for Global Campus Safety at New York University (NYU) on September 6. 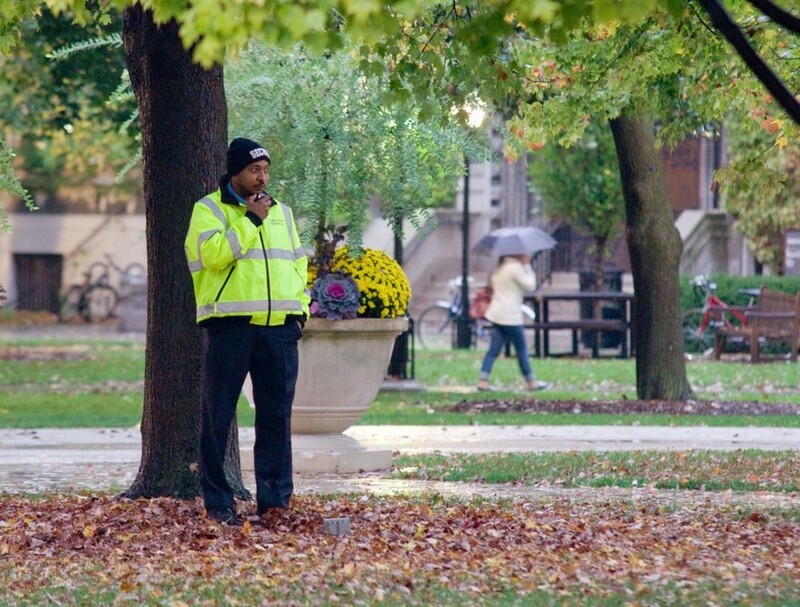 Heath has worked at the University of Chicago since 2010, when he started his tenure as a Deputy Chief of Police for the University of Chicago Police Department (UCPD). For three years, he worked on the UCPD’s Commission on Accreditation for Law Enforcement Agencies (CALEA) accreditation process. He then served as the Assistant Vice President for Police and Public Safety at George Mason University before returning to the University in 2015 in his current role. “Stepping into an established role like this, one of my areas of focus will be on finding ways to improve and enhance the services that we currently provide to our community while exploring opportunities to grow those services efficiently, effectively and technologically,” Heath wrote in an email to The Maroon. According to a 2015 article in George Mason University’s official student-run news outlet, The Fourth Estate, Heath oversaw a number of large internal changes, including making the department less punitive by introducing more alternatives to arrest. According to another article in The Fourth Estate, Heath hoped to focus on community relations and begin use of a Compstat program, which uses crime data to target enforcement. “Why did he leave? Because he was as passionate about what he does at Chicago as he was here, and they made him an offer that he couldn’t refuse,” Mason Assistant Chief of Police Thomas Longo said in the article about Heath’s decision to return to University of Chicago in 2015. Heath will oversee the implementation of new policies announced by President Zimmer earlier this summer. In a July 27 email, Zimmer wrote that among other initiatives, the University will increase the number of UCPD officers by 28 percent. This prompted criticism from student groups such as the Campaign for Equitable Policing, who argued that this increase will negatively affect members of the surrounding community. Those initiatives will have staggered implementation, with some beginning immediately and some starting in phases. Lynch has worked for the University since 2009. In his new role at NYU, Lynch will oversee safety, security, and emergency management and preparedness for NYU’s international campuses and centers, as well as transportation services in New York. “It is a promotional opportunity that will provide me with career advancement as a member of the senior leadership team at the vice president level at a major university,” Lynch wrote in an email to The Maroon. According to Lynch, safety and security at the University have undergone massive changes during his tenure. Heath believes that law enforcement in general is in a time of transition, which has affected the UCPD’s policies.